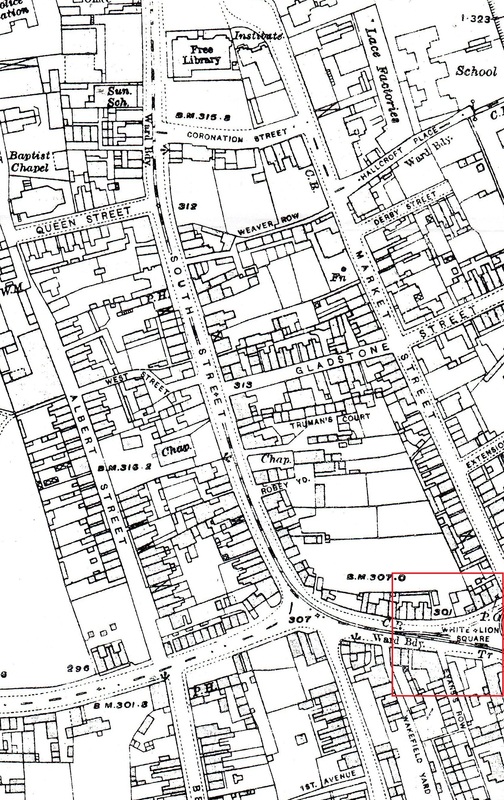 The home of the Frost family on the 1861 census (below) is shown as “White Lion”. 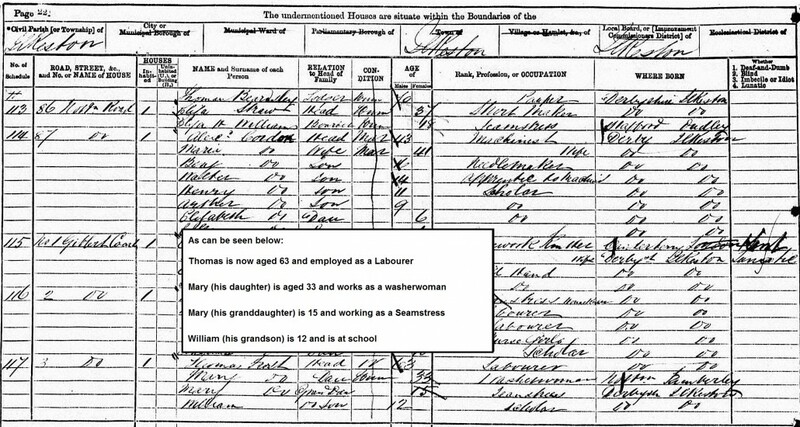 Note: Thomas’s grand children have the surname of Frost, I have found no archive material to suggest their mother Mary ever married, though she is listed as a Widow, this would therefore tend to suggest that Mary and William were illegitimate. White Lion Square is an area between the top of Nottingham Road and its junction with South Street (see section of map below). I believe it’s still called White Lion today (when I worked on the buses in Ilkeston in the late 1970’s early 1980s it was known then as White Lion Square). As to the origin of the name I’m not sure, but I do know there once was a public house there named ‘White Lion’.